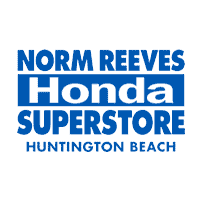 With exceptional customer service and unbeatable prices, Norm Reeves Honda Superstore Huntington Beach is the one-stop shop for all your automotive needs. Located in Orange County, we’re in the perfect location for those living in the Long Beach, Cerritos, and Newport Beach areas. From our amazing service department to one of the biggest showrooms around, we’re sure you can find everything you need here. Consistently ranked among the top Honda dealerships in the nation, Norm Reeves Honda Superstore Huntington Beach has received accolades commending everything from the work of our Financing Department to our super customer service. Our dealership is proud to be a 10-time winner of the esteemed Honda Corporation’s President’s Award. This award, given to only 15 percent of Honda dealerships in the nation, celebrates excellent achievement in customer satisfaction and business management. We’re also proud to be a two-time recipient of the Council of Excellence Award for the work of our exceptional Financing Department. Only the top 15 percent of all Honda dealerships in the US receive this prestigious award for their financial expertise, based on reviews from drivers like you. 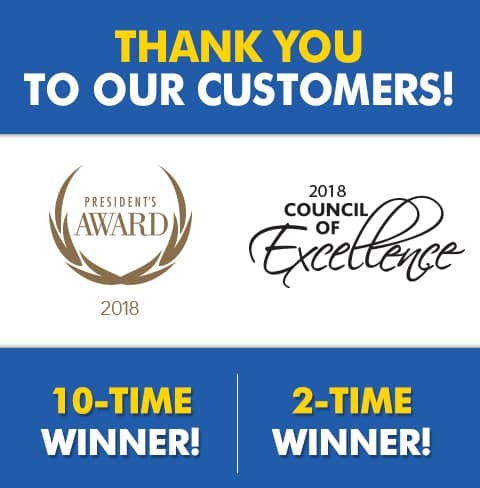 Plus, when you visit Norm Reeves Honda Superstore Huntington Beach, you’re choosing a two-time Honda Professionals Parts and Service award winner – for Customer Experience and Fixed First Visit. Both are also based on outstanding customer feedback. We thank you for choosing Norm Reeves Honda Superstore Huntington Beach for all your automotive needs. Whether you’re here to buy, trade, or service, we look forward to showing you a super experience. Our Team Earned Something Super! 5 Norm Reeves Honda Superstore Huntington Beach team members have earned 2018 Honda Council of Sales Leadership Honors! Gold-status members Jackie Luong and Mike Lott were among only 320 of overall 15,000 sales consultants to achieve Gold membership in 2018. Join us in congratulating them, as well as Silver-status sales consultants Ed Ringler, Frank Tran, and Jonathan Abarca, by reading more here! From the newest models to the most trusted and reliable used vehicles, we have it all. The latest Hondas are all featured in our new Honda showroom. Our lot features tons of trusted used and certified pre-owned models for you to choose from. We also provide our Price Protection Guarantee for our new cars. If you find the same new model you purchased from us at another dealership for less than our price, we’ll pay the difference, or you can return the vehicle. For those interested in buying a used or certified pre-owned vehicle, we offer a five-day or 500-mile buy-back period, and a five-month or 5,000-mile guarantee on certain components of the vehicle. Best of all, we feature specials and incentives for most of the vehicles on our lot and in our showroom, so you get to drive home in the car that’s perfect for you while paying the price that’s perfect for you. Finding your ideal car shouldn’t mean outrageous prices and impossible financing. Our financing department offers a wide array of options that make our affordable prices even more affordable. We work with over 20 finance companies to give you numerous leasing and lending options. In addition, if you’re approaching the end of your lease, you can return the vehicle to us and receive a $300 return incentive. It doesn’t matter if you got your car from us or another dealer. We aim to please, so we accept all lease returns even if you choose not to lease or buy from us. Honda-trained technicians in our service department work with you and your car to make sure you get back on the road and stay safe. Using the most technologically advanced tools and equipment, you can be sure your vehicle is in trusted hands. We also provide a free multipoint inspection whenever you take your car in for servicing. From bumper to bumper, we make sure we thoroughly check for mechanical integrity and driver safety each time you come in. Plus, we give you a detailed report to help you understand the exact condition of your car and any recommended services we think you may need. Our amazing service department is open six days a week and even offers night drop-off and a 5-mile shuttle service to get you where you need to go while your vehicle is being serviced. Visit Our Dealership in Huntington Beach Today! Whether you’re from Long Beach, Cerritos, or Newport Beach, we’re here to serve you. So, visit us at Norm Reeves Honda Huntington Beach today and be sure to schedule a test drive so we can get you in your perfect car.